I Pity the Fool! 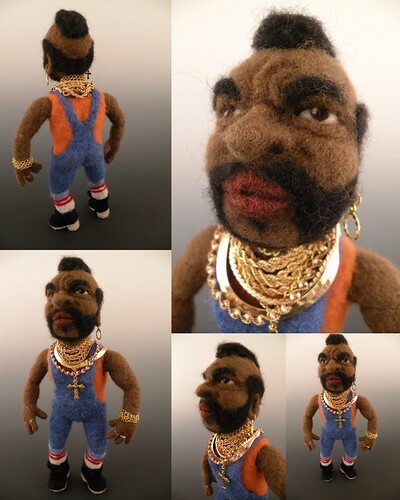 Mr. T - needle felted, originally uploaded by feltalive. I captured my Li'l T is the outfit that BA wore in the opening sequence of The "A" Team. I absolutely adore him and want one! I would like to post this picture on my blog with a story about my dog...would it be ok with you?? ?